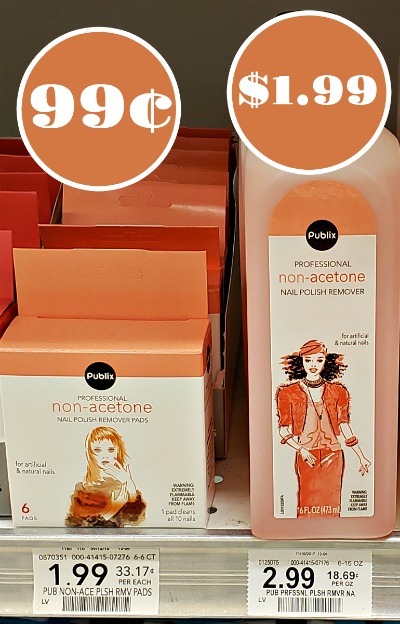 Load the new digital coupon and get Publix Nail Polish Remover for as low as 99¢. Choose the liquid remover or the easy to use pads. Grab your favorite at a nice price. Previous Post: « Stock Up On Deliciousness – Find Great Deals On Your Favorite Back To Nature Products At Publix!